Have you ever tried to buy professional hair salon products (in this case hair coloring for highlights) as a regular, non-licensed person? It is not an easy feat. We did it yesterday and it felt like what I imagine it is like to try to buy illegal drugs on the street. I could not believe how challenging it was to buy a bottle of coloring. Please note - I have never bought drugs, but I watch a lot of TV and movies so I "know" what buying drugs on the street looks like. 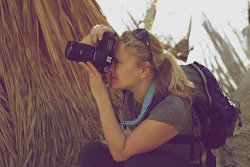 I am just a girl whose hair has lost its pizazz and would like to get some highlights. I have never bought drugstore over the counter hair coloring or tried anything like that at home. I have a great guy (a licensed professional) who does my hair, and has been doing my hair for years (including highlighting which I started doing a few years back) back east in Washington, DC at a great salon in Dupont Circle (Axis). He gave me the product names and formula to give to whoever might do my hair out here in Salt Lake. The problem is that I haven't found a replacement since I moved here a year ago. 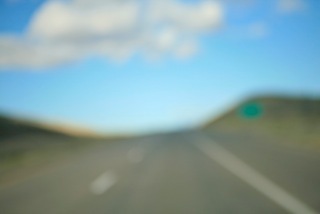 I know I need to do it, but up until now it has worked out with me making occasional trips back to Washington for work. I've been able to slip in and have my guy do my hair. 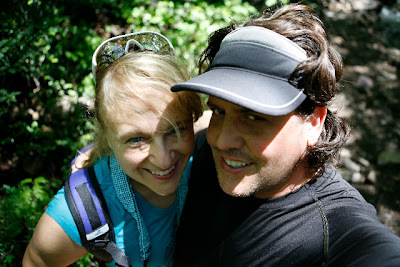 I even made a trip back east before my wedding last September to have him cut and highlight. I was NOT going to find some new person to do my hair just before my wedding. Lucky for me my sister-in-law, who is a real, licensed, fabulous hair stylist is in town visiting from California for Father's Day. She has agreed to cut and highlight my hair if she gets some time today. The only loose end was that we needed to get the hair coloring for her. I thought that would be no problem. I was wrong. Yesterday I started calling hair salon supply places around Salt Lake. I finally got a nice woman who firmly said that no one was going to sell me this product without a license. Really? One bottle of hair coloring? I just never imagined this would be a big deal or possibly not possible. But we have connections. My husband called his hair stylist. She graciously called in an order for us to a local supplier, using her license number. See? Like a drug deal. We drove to the place and all the windows were covered up with paper so you can't see inside, and you have to drive around back to enter. The door has a big sign that says "Licensed Professionals Only." Riff raff keep out. This is so weird. See, again, like a drug deal. We realize we have to pay in cash. Cash only. So we are sitting there in the parking lot scrambling to see if we have enough cash to make the payment. My husband slips into the store and walks out with the product in a brown paper bag. Again, like a drug deal. Who knew that securing Redken professional hair products could be such an ordeal? I realize the products involve chemicals. Is this a security thing? Can people make bombs with Redken hair products? Kids burning other kids for pranks? People trying to do their own hair at home and really messing it up and then suing the product companies? Is the beauty industry trying to keep control of the products so that you are forced to go to professional salons? I hope I don't have to try to buy these products again. I am supposed to be working in Liberia right now, but instead I am home recovering from a major tooth infection. 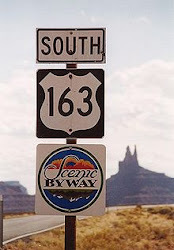 So instead of traveling on the Byway this week, I've been cruising the internet on my couch as I heal, and I discovered a place I would really love to see one day on My Scenic Byway. 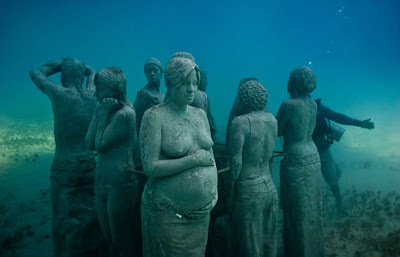 Do you know about artist Jason de Caires Taylor and his underwater sculpture gardens in Guyana and Mexico? Amazing. 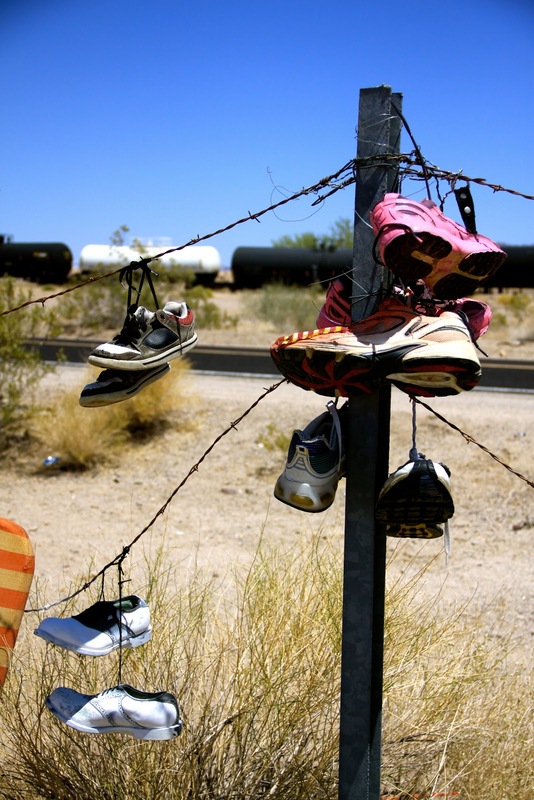 I haven't seen them in person, only photographs. But I am thinking that if I get the opportunity to see these underwater sculptures, I am going to take it. They are just too beautiful and interesting to ignore. 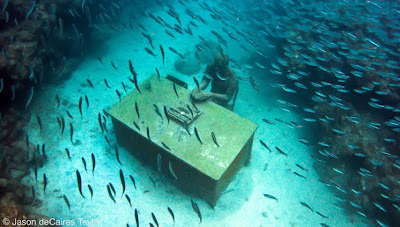 I am posting some photos here - all photos are from his website: www.underwatersculpture.com. 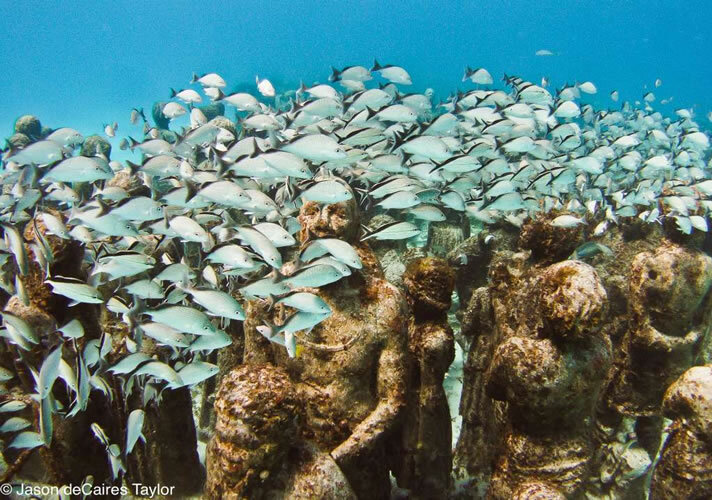 Taylor is an English/Guyanese artist who grew up spending a lot of time in the coral reefs of Malaysia where he developed a love of the ocean. 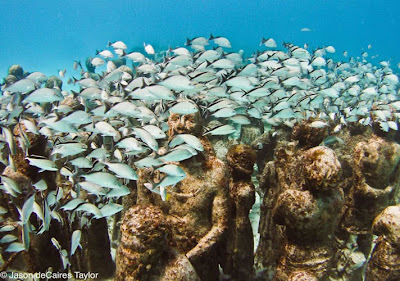 He started his first underwater sculpture garden in Moilinere Bay in Guyana, West Indies in 2005 - 65 sculptures scattered across 800 square meters. 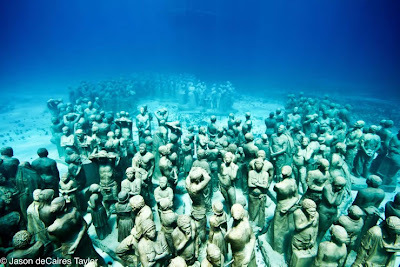 He also has works off of Cancun Mexico, near Isla Mujeres in the fairly new Cancun Underwater Museum where he is Artistic Director. His sculptures are beautiful and take on even more beauty and intrigue as they are sitting at the bottom of the ocean. 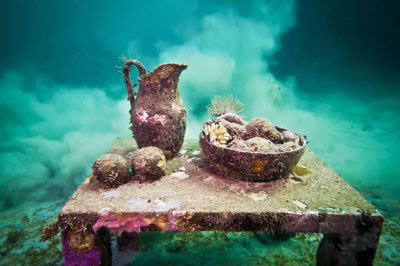 With this art he has created artificial reefs, providing structures as a base for marine life to grow in an area where the natural reefs were damaged by storms (in the case of his first garden in Grenada). 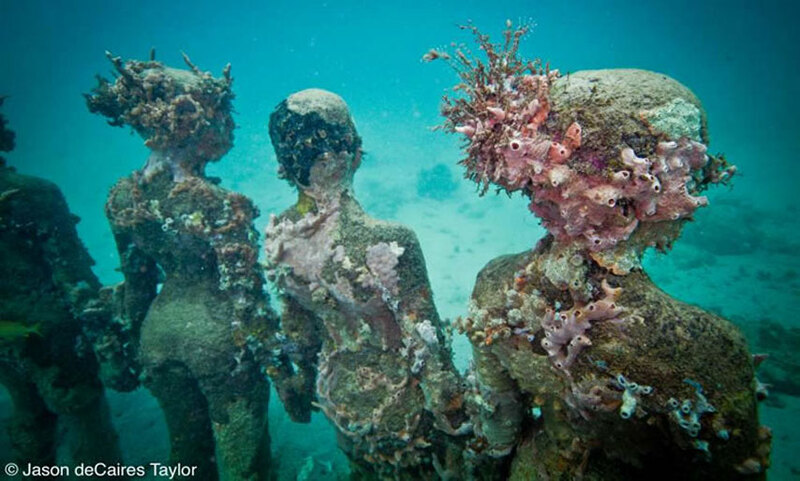 The sculptures are made from a special cement that attracts corals to grow on them. 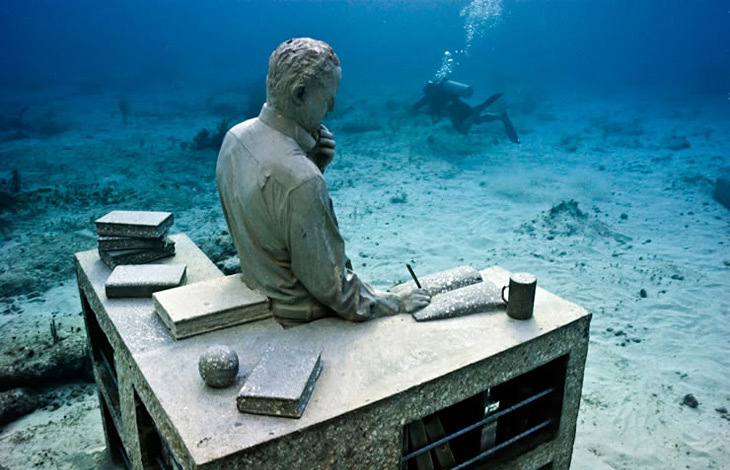 He got the idea to create artificial reefs while working as a dive instructor and seeing all of the destruction of the reefs. He wants to both provide resources for new reefs to develop and to attract underwater adventurers to see his art away from the other natural reefs to give them some relief. 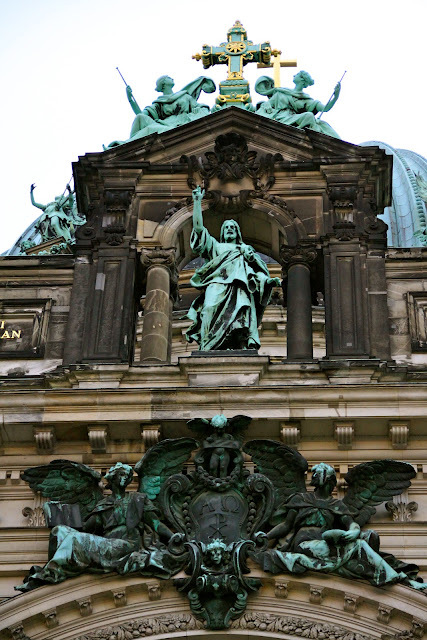 The sculptures seem alone, out of place. I can imagine what it must be like to be swimming along and come upon them - like discovering a ship wreck or a lost city in the sea. They are an eerie sight. 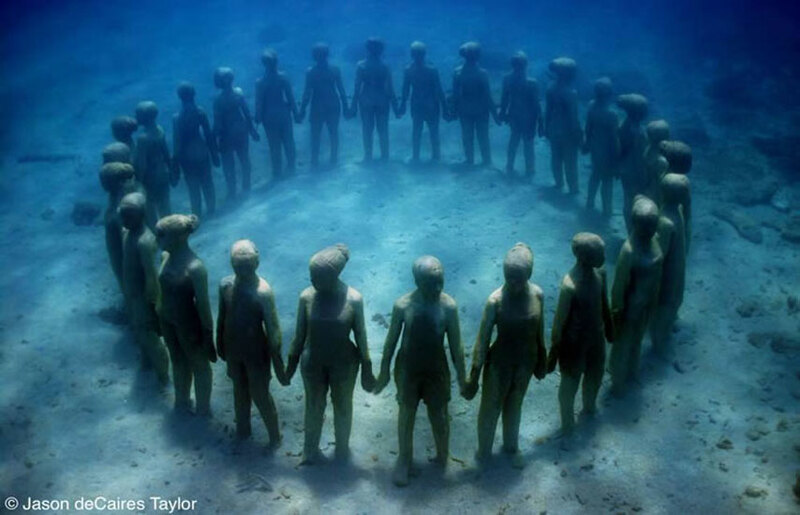 The artist describes it: "The light is very different and is affected by the surface of the sea. 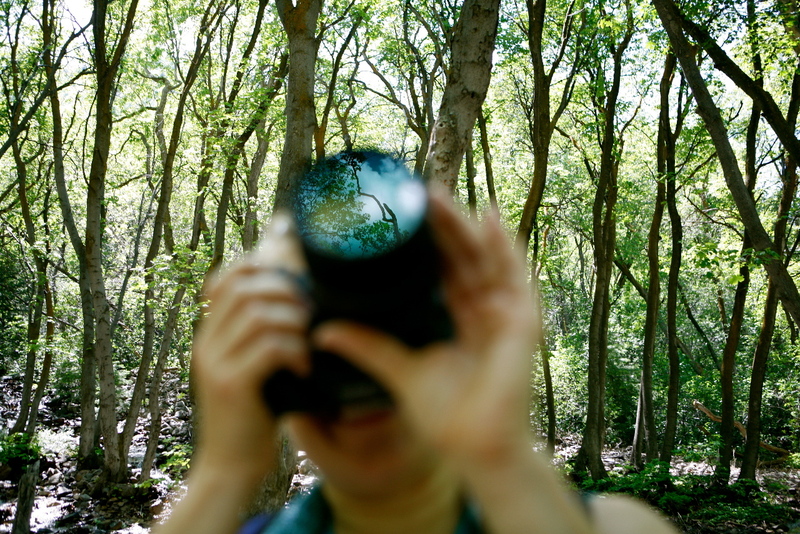 It has a lost feel to it, which I really like." And then when you compare the photos from when the sculptures were first placed in the water to later when the ocean begins to reclaim them - it is amazing. 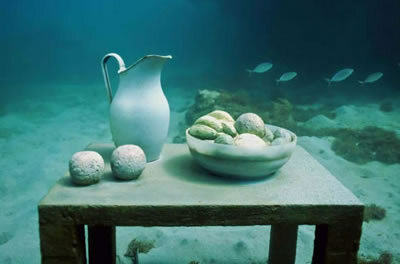 His works change as the sea and its creatures claim them for their own. I've been to Isla Mujeres and my family goes to Cancun all the time. 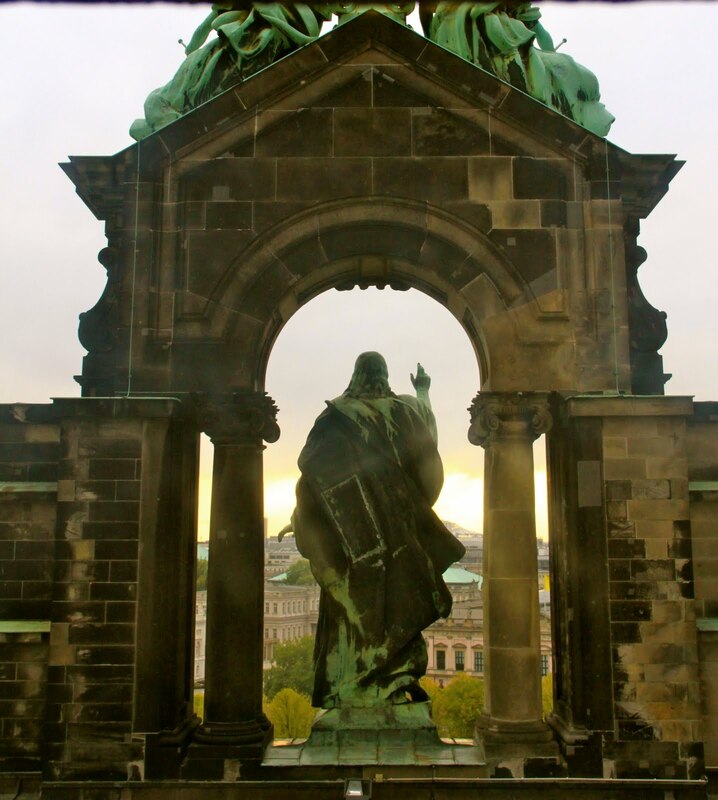 I will be there again this December so maybe I will look into how to see his sculptures there. I am not a scuba diver although I have snorkeled in the past - quite a long time ago. But this is the kind of thing that might encourage me to get out there and do it again, or even learn scuba. If you get a chance to see this amazing art, please do it! And please share your story. 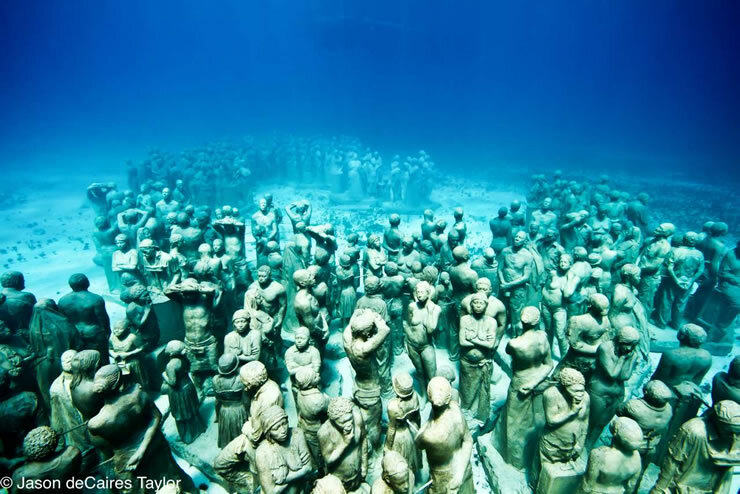 I would love to know what it felt like to be under the water and come upon these sculptures of people and things that aren't supposed to be on the ocean floor, and to swim among them and see how the ocean is claiming them for its own. 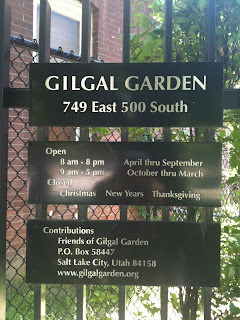 Yesterday while out running errands, my husband took me to see this crazy little place called Gilgal Garden, also known as the Gilgal Sculpture Garden or the "secret garden" of Salt Lake. Secret Garden is right. 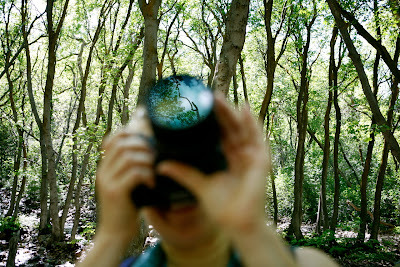 You would never find this hidden little downtown place if you did not know it existed and where to look for it. It is on a residential street in between two houses. The park sits back inside, so from the street it just looks like someone's yard, except if you notice the small sign. But you walk in and you find a beautiful, but very weird, sculpture garden. The world would be so boing without weirdness. I love weirdness, so I loved this place. 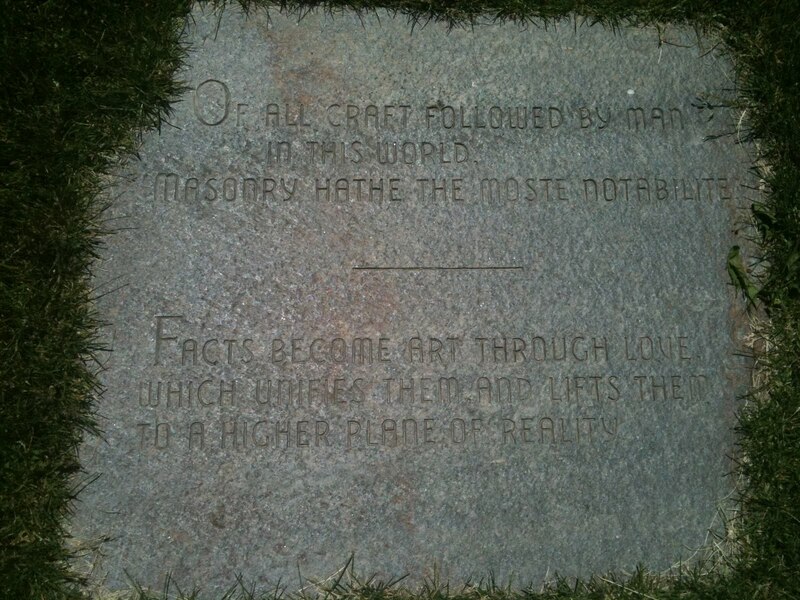 The garden was envisioned, designed and created by Thomas Battersby Child, Jr. (1888-1963). 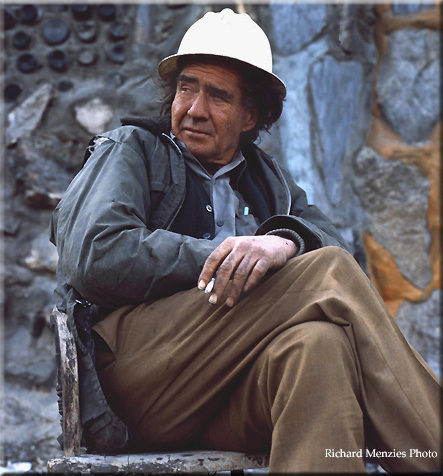 He started building the garden in 1945 in his backyard and he continued working on it until his death in 1963. He was a Mormon and a Mason and he created a retreat that spoke to his religious and personal beliefs, so the garden is full of Mormon and Mason symbolism. 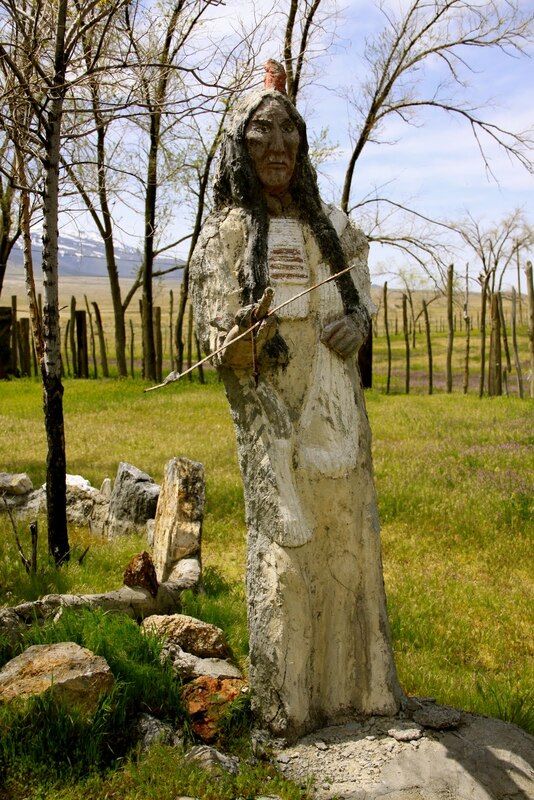 The name Gilgal has biblical meaning and is referenced in the Book of Mormon and translates into "circle of standing stones," which is fitting given that the garden has 12 original sculptures and 70 stones engraved with scriptures, poems and literary texts. 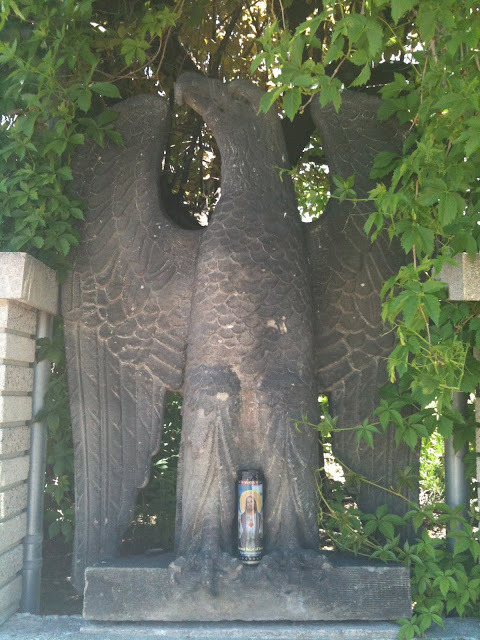 I bet most people in Salt Lake do not know this place exists. 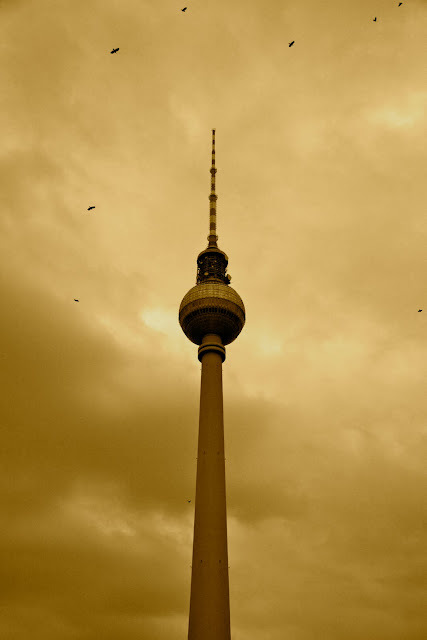 It is worth a visit for residents and tourists. The garden is small and really only takes 5 minutes to see it all, unless you want to spend time really absorbing the sculptures, reading the numerous engravings on stones throughout, or simply hanging out and enjoying the natural beauty and peacefulness of this secret little garden. 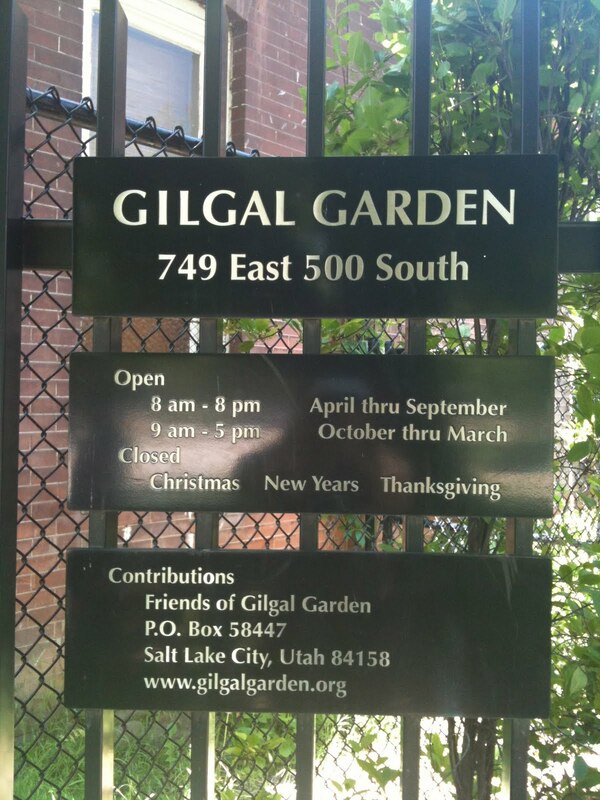 Gilgal Garden is open to the public and is located at 749 East 500 South in downtown Salt Lake, close to Liberty Park and Trolley Square. 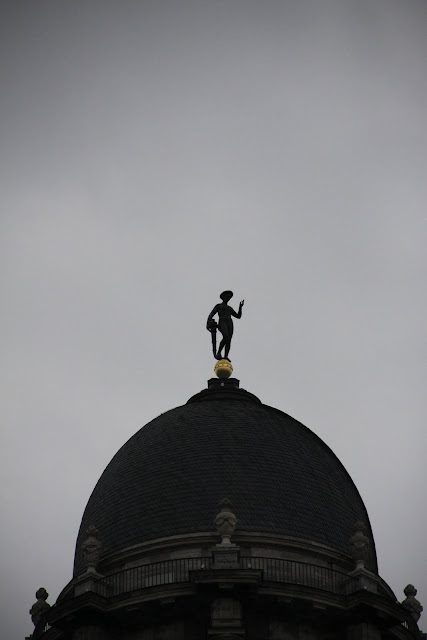 I posted a few photos below from yesterday's visit. Sphinx with the head of Joseph Smith - hipstamatic image. Not sure who this is or why he has an unfinished rock for a head - hipstamatic image. 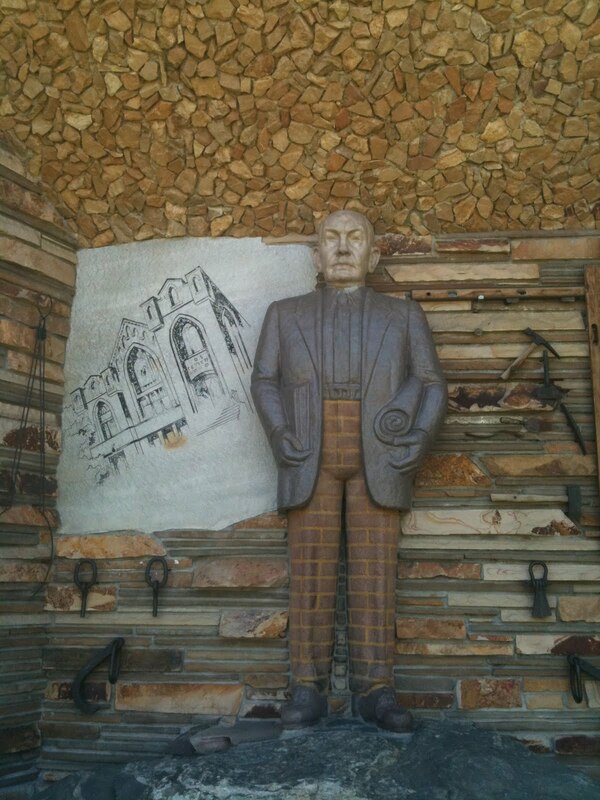 Note the Masonry and Mormon references and the painted brick pants!